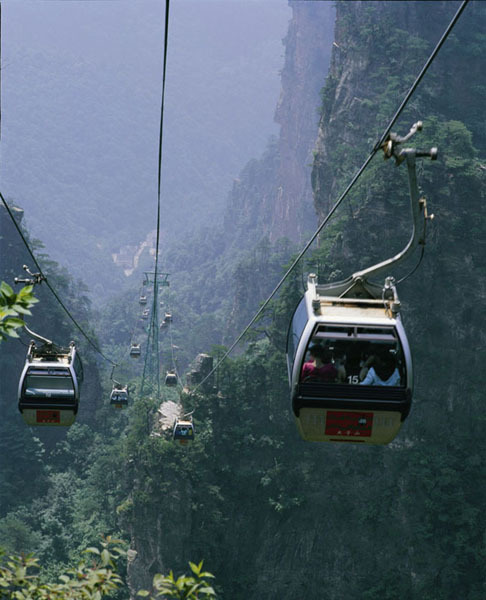 Tianzi Mountain,Tianzishan natural reserve is situated between Zhangjiajie National Forest Park and <?xml:namespace prefix = st1 />Suoxi Valley natural reserve and covers an area of 93 sq km. 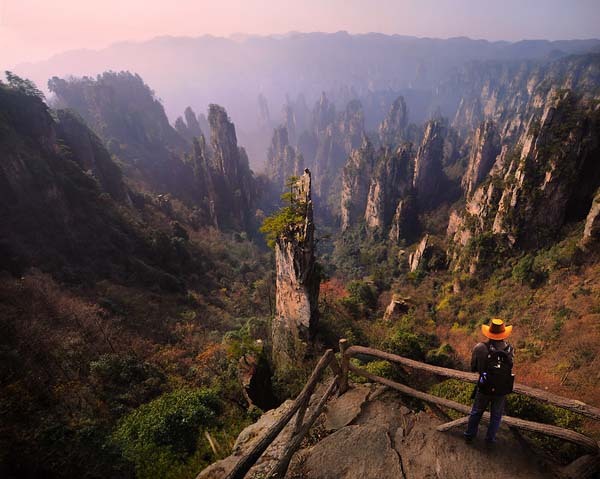 The highest peak is 1,260 meters (4,130ft) above sea level and provides stunning views of the surrounding mountains and valleys. 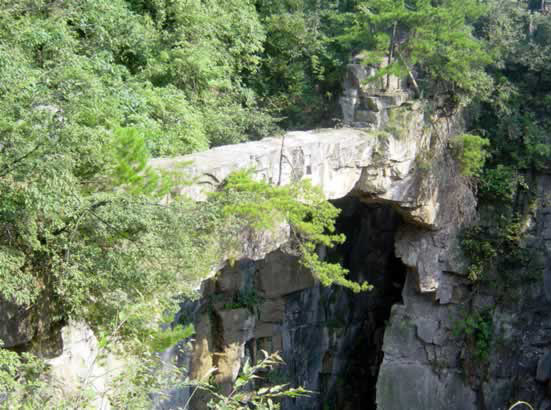 Waterfalls, bridges, stone forests and caves are found throughout the mountains. 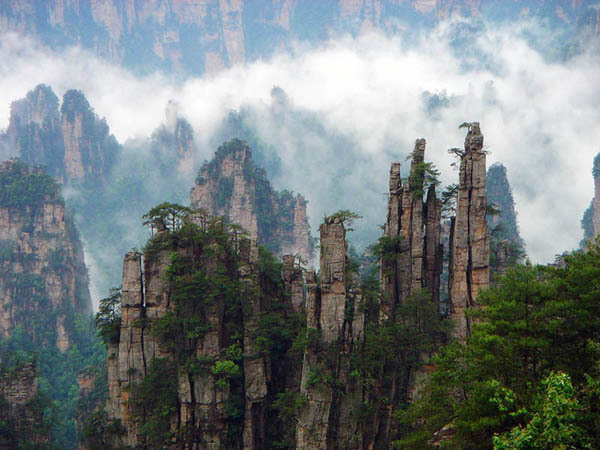 Tianzishan is known for 4 natural spectacles - the clouds of mist that circle the peaks of the mountain, the amazing views of the rising sun, the moonlit nights and snowcapped winter peaks. 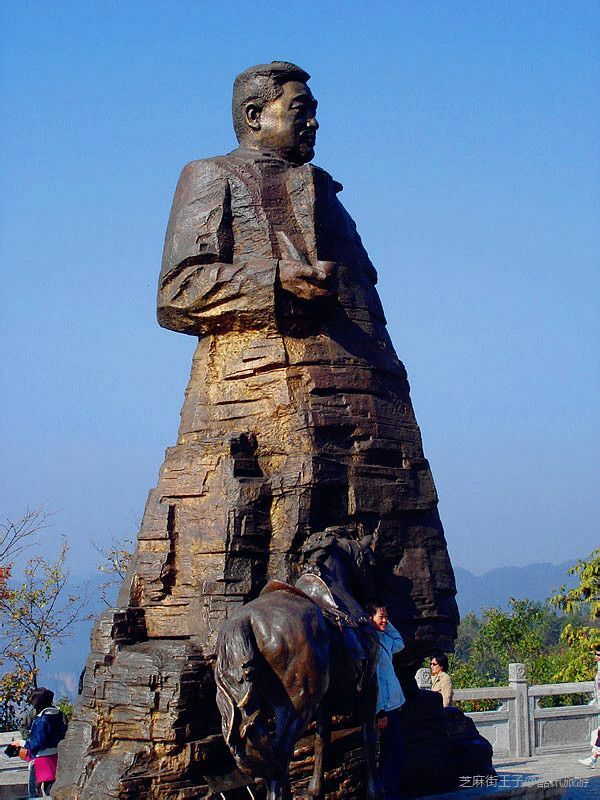 Shentang Valley is also named Shentang Fort. 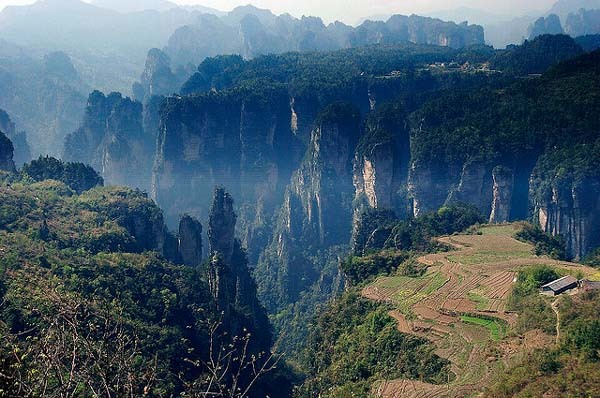 It is a gorge shaped like a huge basin walled by lofty precipices. 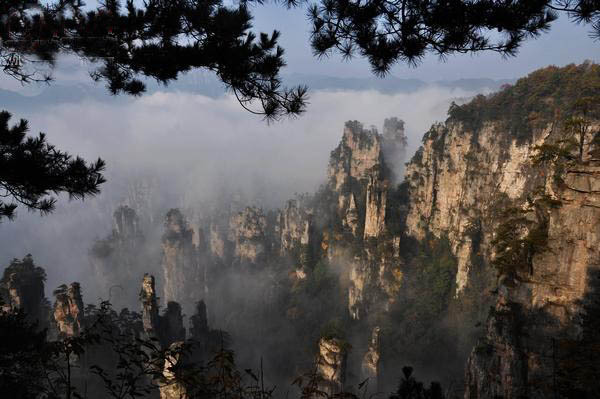 The bottom of the gorge is veiled in mists and clouds all day, adding to its mysteriousness. As the saying goes, the most beautiful scene is seen from the most perilous peak. There are almost no roads to Shentang Valley, only a quite dangerous flight of stairs that is as wide as a foot being available. Local people say, Every step kills one soul. In the center of the bottom lies a fathomless green pond. Looking down the pond from the mouth of the gorge, one cant help shivering. Whats peculiar is that visitors can hear sounds of gongs and drums, neighs of battle steeds and shouts of men echoing from the bottom. Nobody can give a reasonable answer to this mystery. 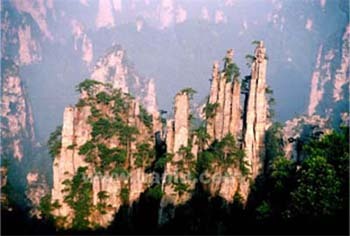 Therefore, Shentang Valley was a forbidden place in Wulingyuan and a puzzle for hundreds of years.